Sometimes there can be so much to do in London that you simply don’t know where to begin. After unpacking and settling into your hotel room, the prospect of enjoying everything in a short amount of time can be overwhelming. With so much to do in Paddington, where do you start? Don’t panic. We know exactly where you should go as you leave the Park Grand London Paddington on your first morning in the capital. Michael Bond’s best-loved creation came from darkest Peru in 1958 to steal the hearts of the British public. He’s famous for loving marmalade sandwiches and for always getting into scrapes, which generations of British children have loved from the first books to the TV series and the 2014 Hollywood film. Such is Paddington Bear’s fame that there’s a statue of him at Paddington station, where he first met his adoptive family in the books. Based on the original illustrations, the Paddington statue is sitting on his battered suitcase and wearing his favourite hat. Take your photo with the famous bear and stop by the only dedicated Paddington Bear shop in the world nearby. 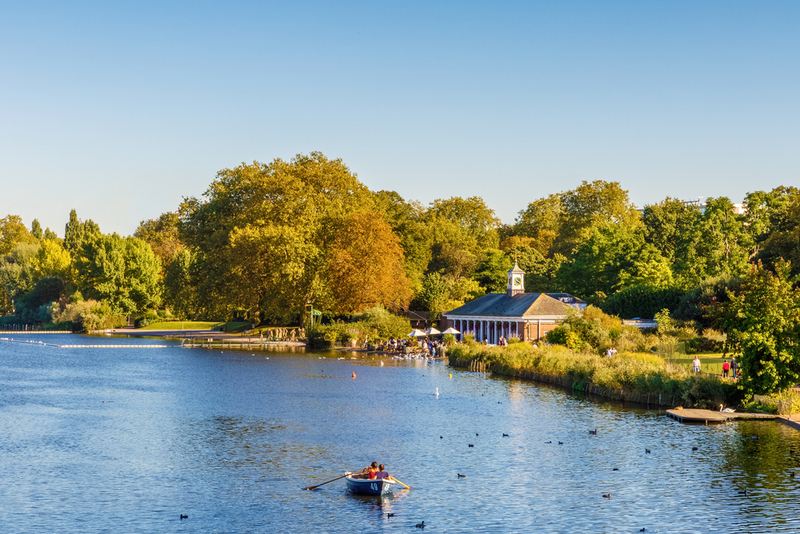 Visit one of London’s largest parks and discover everything it holds within its 350 acres. Go boating on the Serpentine lake or take part in some open-air swimming in the Lido. If splashing about isn’t your thing, visit Speakers’ Corner. Anyone can turn up to talk about anything they want, with a long history stretching back to 1872. Everyone from suffragettes to anti-war campaigners have used this spot to express their views, and it is still in heavy use today. Explore the statues Hyde Park offers, from the famous Joy of Life fountain to the Achilles statue that commemorates the first Duke of Wellington, who defeated Napoleon in the Battle of Waterloo. If you’d prefer to take a lazy walk amongst the flowers, stroll in the Rose Garden, and take in the two beautiful fountains that give the garden its peaceful air. Hyde Park is just a 15 minute walk from the Park Grand London Paddington. For outdoor fun, games and gasps, head to Merchant Square. Take part in the giant board games, see who can get out of the first water maze in the world without getting soaked, or just relax on the brand new floating garden. Merchant Square has two very special bridges which move at certain times to let boats through. Plan your visit so you don’t miss seeing them lift high into the air! There’s so much to see and do in Paddington that wherever you go and whatever you do, you’re sure to have a good time. Share the post "3 Attractions to See On Your First Morning At The Park Grand London Paddington"
This entry was posted in London Attraction and tagged Park Grand London Paddington. Bookmark the permalink.